Abstract—In this paper, a novel channel modeling method of the power-line communication (PLC) channel based on the information nodes has been proposed firstly to deal with all kinds of network topologies that may emerge in indoor power networks. Based on this method, the influence laws of the length from transmitter to receiver, branched lengths, branch load impedances and number of branches to the channel transmission characteristics has been analyzed in detail. The paper emphatically analyzes the influence on fading frequency and fading depth induced by these factors. It is seen that the power-line input impedance is fixed at signal attenuation peak frequency point. The conclusions in this paper provide the necessary theoretical basis to power-line communication modulation method. Index Terms—Power-line communication, information nodes, channel model, channel characteristics, frequency fading. The authors are with the School of Electrical Engineering, Wuhan University (WHU). Wuhan 430072, China (e-mail: caiwei@whu.edu.cn, lej01@mails.tsinghua.edu.cn, kpliu@whu.edu.cn). 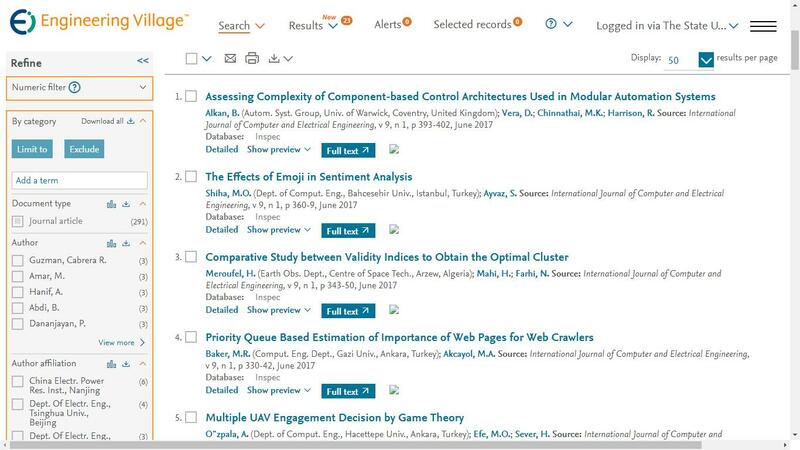 Cite:Wei Cai, Jian Le, and Kai-pei Liu, "The Analysis of the Indoor PLC Channel Characteristics Based on Information Nodes Channel Modeling Method," International Journal of Computer and Electrical Engineering vol. 5, no. 2, pp. 155-159, 2013.